This project’s aim is to promote new loyalty based program called Koin Rewards developed on a block chain technology. New tech and approach helps overcome all the cons of traditional loyalty programs and provides participants with valuable rewards. Our team had received a basic idea for the script. We’ve adapted it for the needs of animation. Also our artist developed original style in regards to client’s brand guidelines. And our motion designer brought full video together as a lively and vivid animation. Points based loyalty programs are old, tired and repetitive. People want more options to redeem their points. They want to receive more value for their points. And they don’t want their points to expire. Koin Rewards is different. Instead of earning points or miles, members earn the crypto currency Koin. Koin is the loyalty program for everyday crypto which gives members choice and control of how their Koin are used. The more members shop, the more Koin they earn and the more value they gain. Best of all, your Koin will never, ever expire. Koin Rewards is exciting. Koin Rewards is secure. Koin Rewards gives value, control and choice back to members. 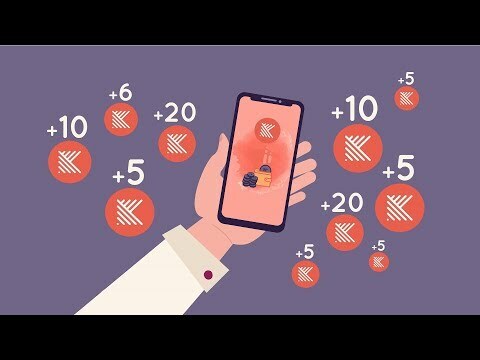 Koin Rewards; The loyalty program for everyday crypto. Find out more at www.koinrewards.io or Join the Koin community on Instagram, Facebook, Telegram and Twitter for frequent updates.